The bear went over the mountain, to see what he could see, hear what he could hear, smell what he could smell, touch what he could touch, and taste what he could taste; what a busy bear! In this beautifully written rendition of a classic children’s song, bestselling author and illustrator Iza Trapani brings to life the seasonal activities of this cuddly bear. The bear sets out at the beginning of spring and finds fun around every corner, such as watching bunnies hop and smelling flowers. When the bear finds something unpleasant, like a smelly skunk or a prickly porcupine, he learns that the five senses have both good and bad traits. But that is all right, because there is always something just as exciting to try next! As winter arrives, the bear goes home to his cave, tired after his adventures. 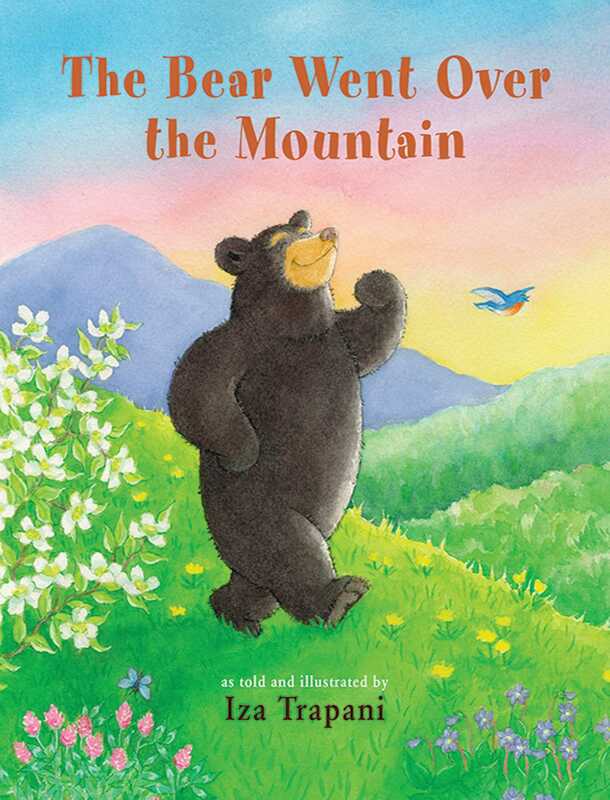 The Bear Went Over the Mountain, in paperback for the first time, teaches children about the five senses and the four seasons, all through a timeless song. It is so much fun, kids will want to go exploring too, just like the bear!